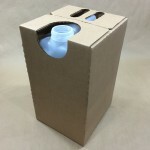 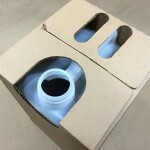 We stock a 4.6 gallon HDPE bottle in a box that is sometimes referred to as an oil bottle. 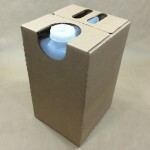 This bottle has a 63mm Rieke screw neck. 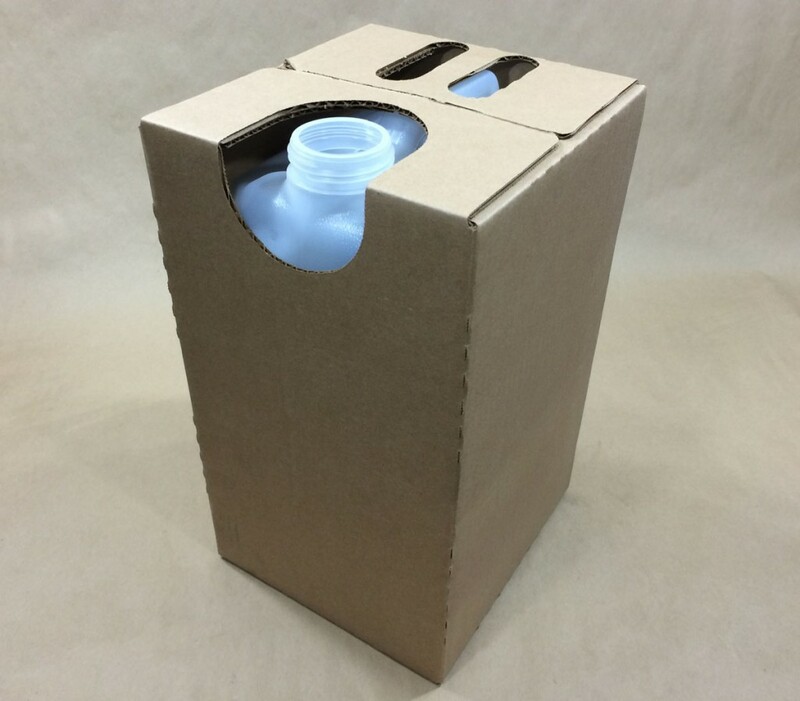 This bottle can hold up to 35 lbs. 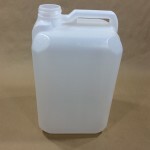 of food oil and several of our customers use it for that purpose. 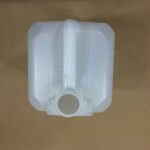 It is also suitable, however, for many non- hazardous products. 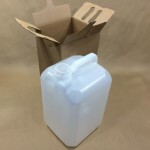 As an example, it would be fine for cleaning supplies, providing they are compatible with high density polyethylene. 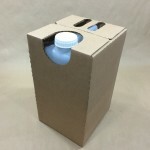 As always, it is up to the shipper to be sure his product is compatible with the container. 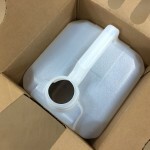 We advise that if you are filling warm, you do not exceed 160 degrees F. Also, please note that we suggest you not ship these via UPS, as they do not do very well in the UPS environment. 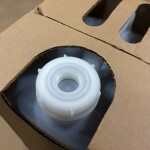 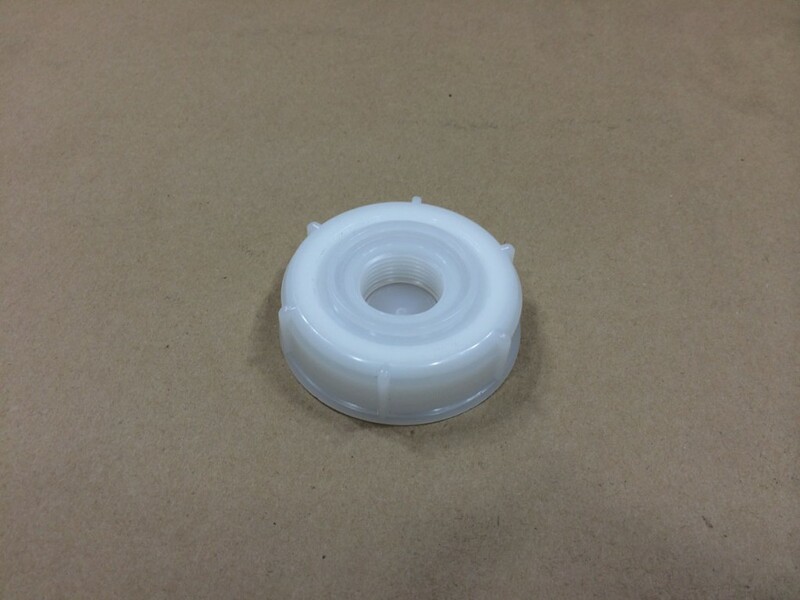 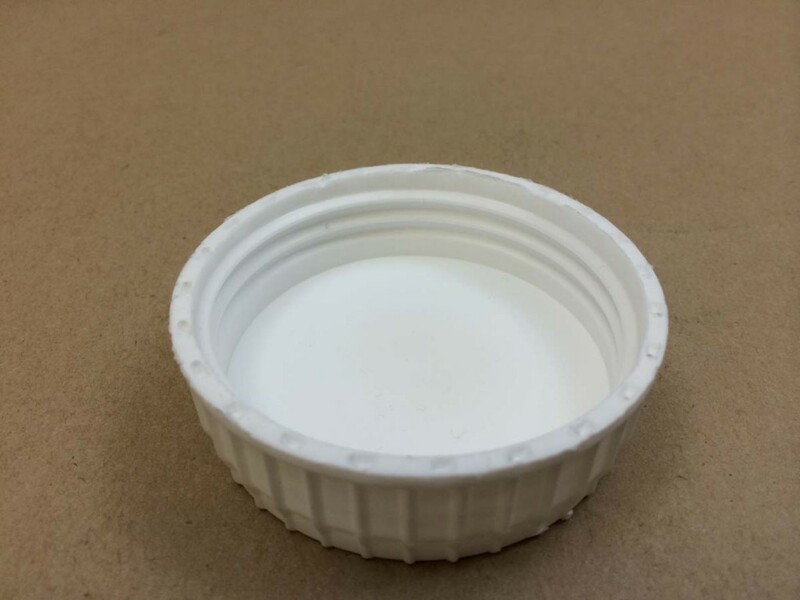 Both caps are suitable for the bottle, however, if you are looking for a superior seal, the cap with the EPDM gasket is the better choice. 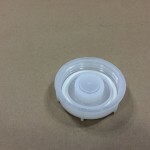 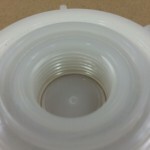 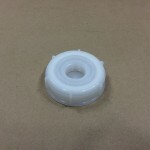 The center of this cap can be punched out allowing a faucet to be attached. 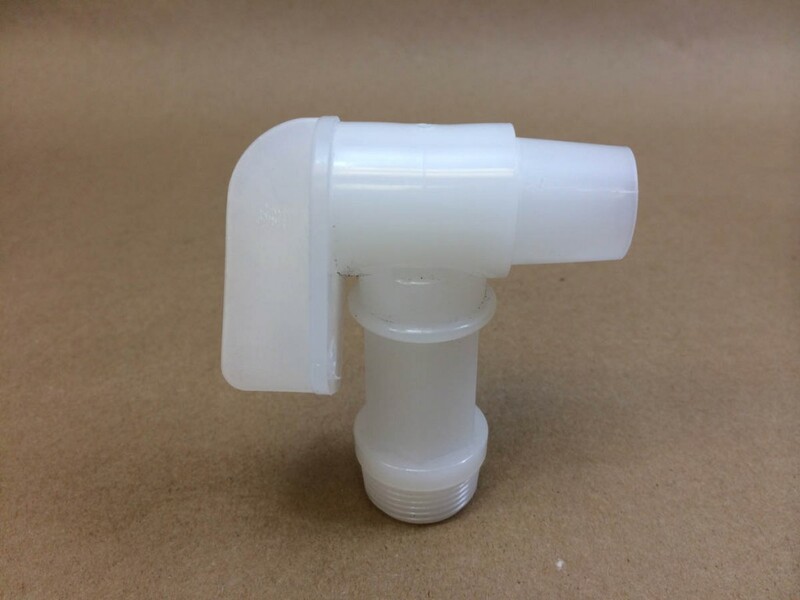 Shown below, and sold separately, is our 3/4″ Flo Rite faucet.